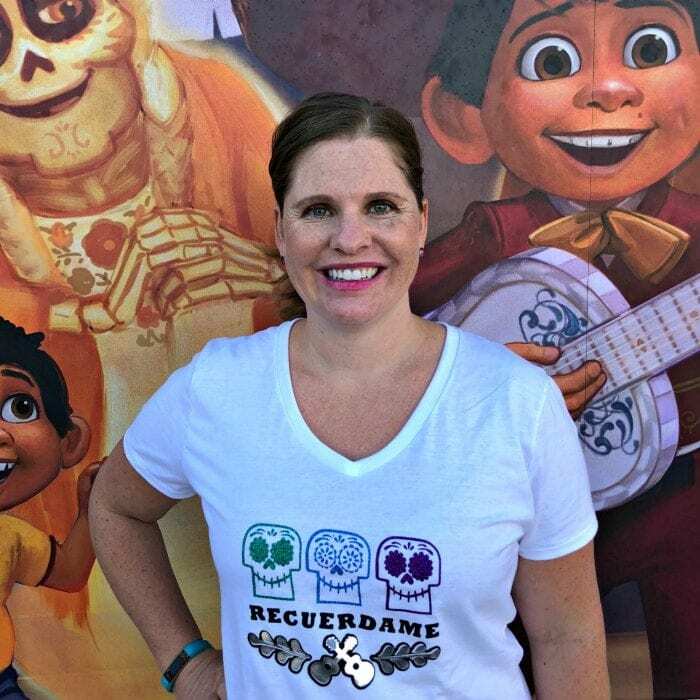 Celebrate Day of the Dead, Halloween and Disney Pixar’s Coco movie with this gorgeous DIY Coco T Shirt! 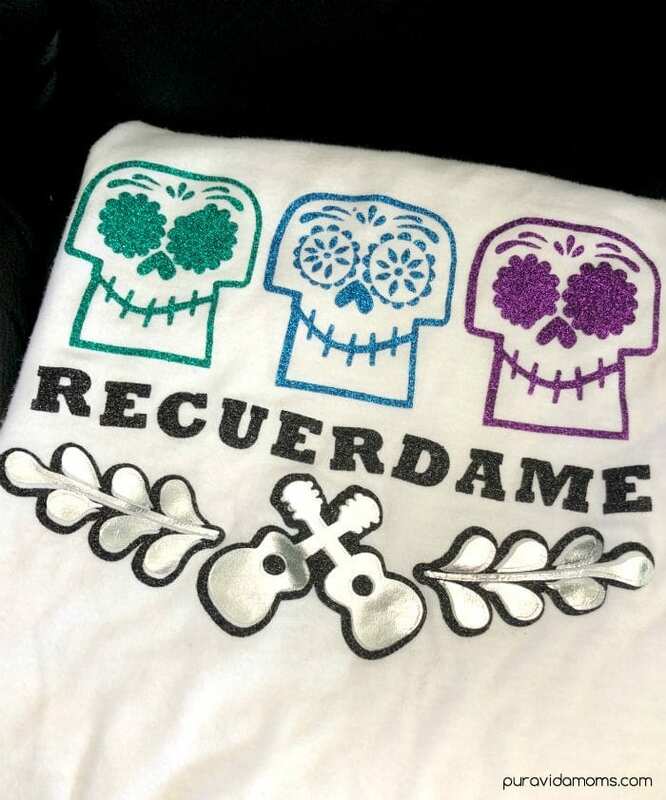 Includes instructions on how to create the shirt using Cricut or other cutting tool. 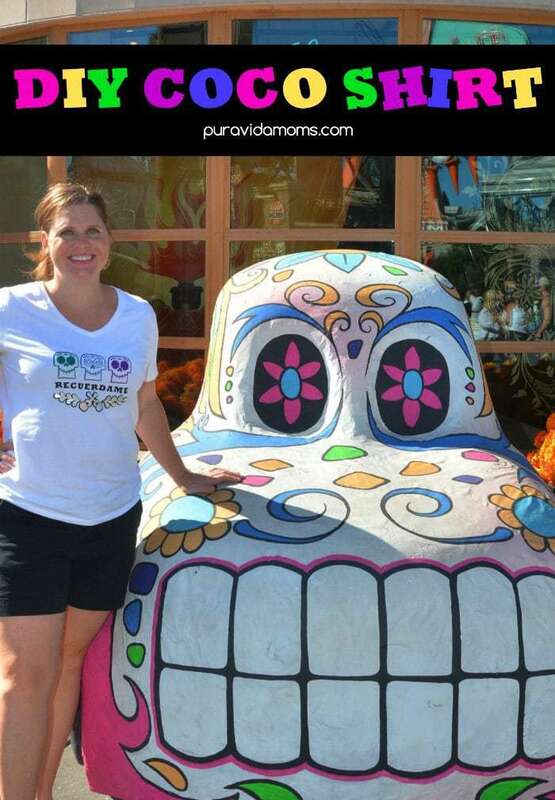 I am so excited to be celebrating the Day of the Dead along with my friends from Multicultural Kids Blogs. 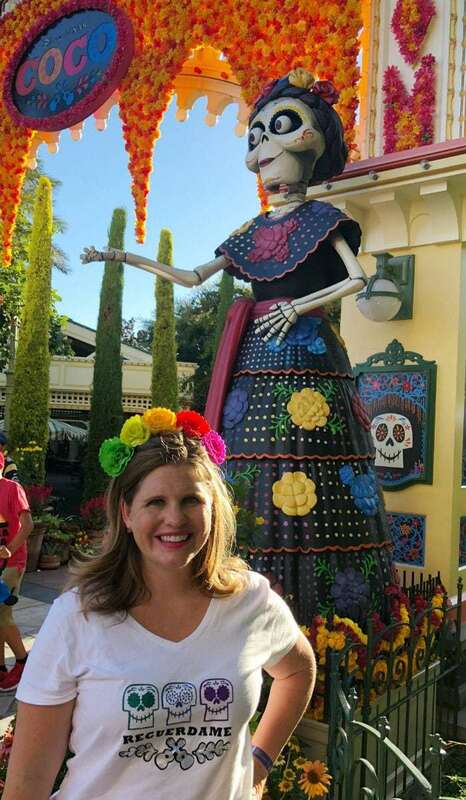 If you haven’t celebrated Day of the Dead before, then this is your year! Many people are now more familiar than ever with the Day of the Dead thanks to Disney Pixar’s Coco movie, which follows the journey of a young man named Miguel who embarks on a magical journey to visit his family in the afterlife. The images are incredible, the story and complete tearjerker, and of course the soundtrack has been playing at our house all year. I wanted to share with you our DIY Coco T Shirt idea. 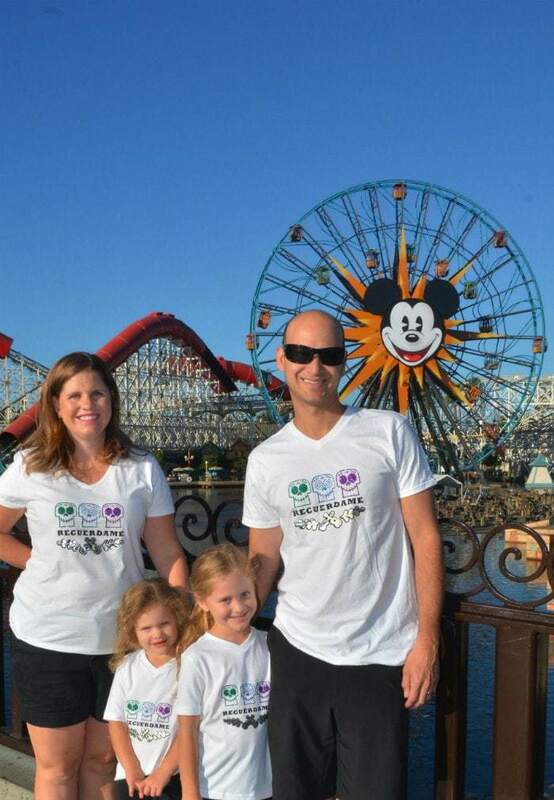 We just had the opportunity to spend four days at Disneyland to celebrate Halloween Time, and I made these shirts for everyone in the family. Disneyland has a Plaza de la familia that celebrates the Coco movie, and I definitely wanted to represent our Latino heritage on our visit. I made these shirts with my Cricut machine, and I love how they turned out! 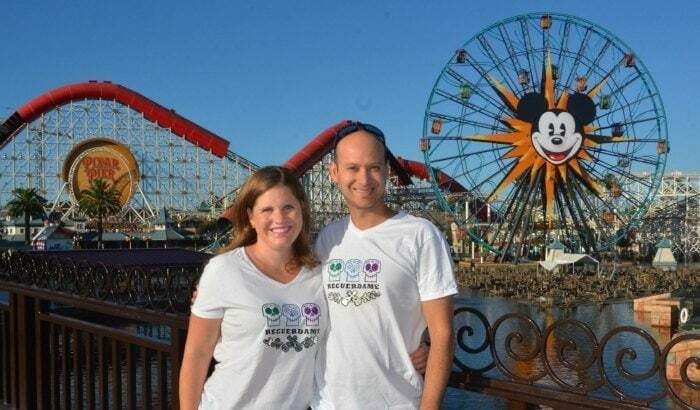 I even got compliments from several Disneyland Cast Members who asked me which store in the park was carrying them. 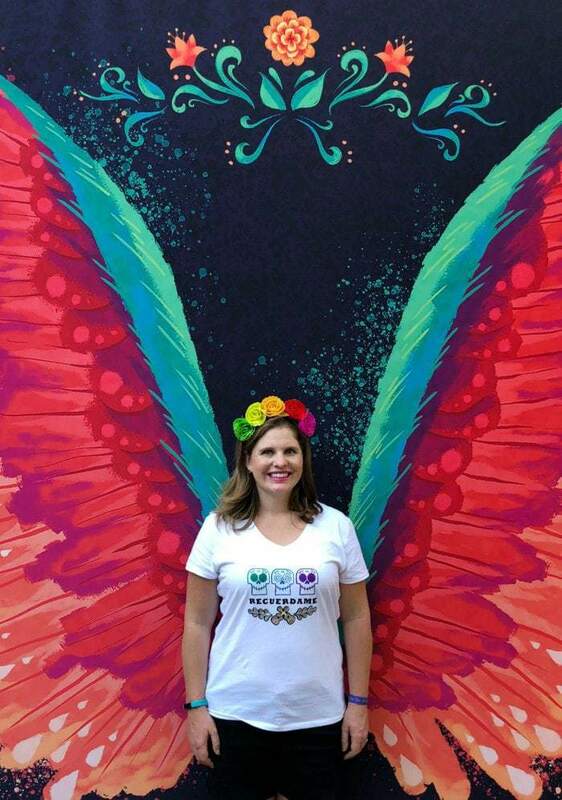 So I wanted to share with you how I created these one of a kind Coco t shirts for Day of the Dead! Please note the links in this post are affiliate links. I got plain white t-shirts for everyone in the family from Hanes.com- I liked that they had some fun v neck styles for women, and some cute girl cut shirts for my kids. plus they have lots of big sales. You can also find shirts at Walmart and Target, or I like the ones at Joann fabric and crafts. I like to use a high quality shirt that we will wear over and over. I also like to buy them a bit big so my kids can grow into the. Next you will need all of your vinyl and your Cricut Machine. I have a Cricut Explore Air , and for this project I used the iron on glitter vinyl in green, purple and blue. I then grabbed some black glitter vinyl and the silver foil iron on vinyl. I used an iron to press the shirts, but I think it is easier and faster to use the Cricut Easy Press. I also used the green Circut mat when I loaded my mats for printing. I would have died on this project without several Cricut weeding tools, as the whole family was helping to weed the skulls! I grabbed the Coco font download from Picture the Magic. I did have to give her my email address, but she is not an obnoxious emailer. Next I installed the font onto my computer. Pro Tip- the Cricut Design Space requires you to logout and then log back on in order to add a font, so I did the installation before launching Design Space. I then downloaded the Coco logo images from my Etsy purchase (they came immediately and only cost $1.50!) and opened them. Next I hopped over to Pic Monkey, which is my favorite image editing tool, and I imported the images. I cut apart the guitar with flourishes and the sugar skull that I most wanted and made them separate files. In the Cricut Design Space, I imported the images and cut out the backgrounds. The guitar I had to do twice- one with the inside of the guitar and one with the outside. Then I designed the t shirt. Make sure to print each skull a different color as well as the guitar inside and outside. And don’t forget to put mirror ON! And that’s it! Don’t miss our other popular Coco content- just click on the photos below for our other DIY Coco activities and information about the movie.